Daryl Johnson (Worcester Park, United Kingdom) on 14 May 2018 in Sport & Recreation. 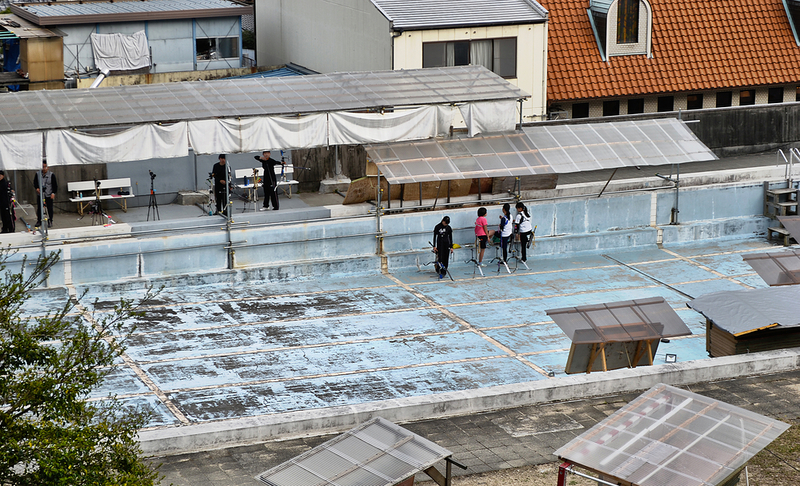 Students practicing their archery skills, spotted from the Matsuyama Castle chair-lift. After the terrifying chair-lift, we get a hail of arrows . . I think I'll stay here in the shelter ! @Ronnie 2¢: At this stage of the chair lift ride, you need to pull your legs up, make yourself into a ball, as small a target as possible. It's good to see the girls are taking it up, too. I think I read that female Japanese archers are quite good. @Steve Rice: I think very popular with boys and girls Steve.